Jennifer Warren was born and raised in Greenwich Village. Jennifer left New York to go to the University of Wisconsin and majored in Art History. Nominated for a McKnight Fellowship, she then went to the University of Minnesota Graduate program and then on to the Tyrone Guthrie Theatre in Minnesota. Although best known as an actress in film, television and theater, Jennifer Warren was accepted into the Directing Workshop for Women at the American Film Institute, where she directed the short film Point of Departure and received the Cine Golden Eagle Award, Best Drama at Aspen Film Festival, and then opened the season for the Arts & Entertainment Channel on their World Premiere Short Film Series. 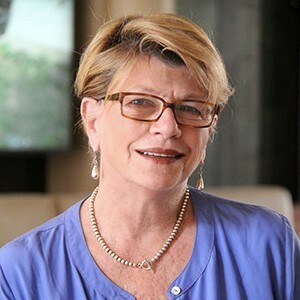 Two years later, she formed Tiger Rose Productions, and co-produced the short documentary You Don’t Have to Die, which won the Academy Award in 1989 as well as the Cable Ace Award. About that same time, Warren began to develop a feature film, The Beans of Egypt Maine, which she directed for American Playhouse and Live Entertainment. The film was selected as Best Pick of both the Seattle and Boston Film Festivals. It was invited into competition at the San Sebastian Film Festival and gathered wide critical acclaim and two Independent Film Spirit Award Nominations upon its release in 1994. It appeared on PBS for the American Playhouse series the following year. Warren finished production on her second directorial feature, Partners in Crime, starring Rutger Hauer and Paulina Porizkova in 1998. Partners was distributed in America by Artisan Films during the 1999/2000 year and appeared on Direct T.V. As an actress, Warren is best known for her leading roles in such features as Night Moves, opposite Gene Hackman (Screen World Award - Best Actress) directed by Arthur Penn. Slapshot, opposite Paul Newman, directed by George Roy Hill. Fatal Beauty, opposite Whoopi Goldberg, as well as Another Man, Another Chance opposite Jimmy Cahn, directed by Claude LeLouche. She has also starred in over twenty network movies. A member of the Academy of Motion Picture Arts & Sciences and Women in Film, she was a founding member and past president of The Alliance of Woman Directors and continues to actively support the organization. She has taught at Wesleyan University, Johns Hopkins University, UCLA Extension, University of Tel Aviv and is now a Senior Lecturer at the USC School of Cinematic Arts.